The Tasmanian Museum and Art Gallery (TMAG) is delighted to be hosting a solo exhibition of work by internationally renowned Tasmanian Indigenous artist Lola Greeno. 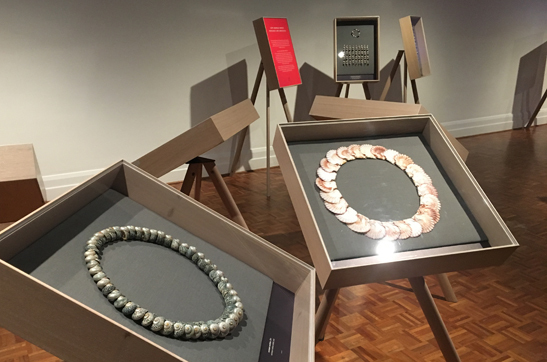 The Australian Design Centre touring exhibition Lola Greeno: Cultural Jewels opens at TMAG on Friday 1 June and continues until Sunday 22 July. 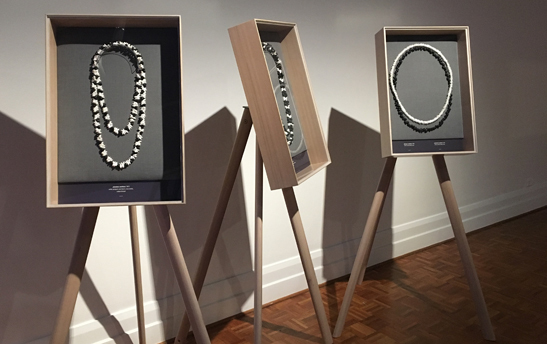 Recent visitors to TMAG will be familiar with Greeno’s work, as her exquisite shell necklaces were most recently seen at the museum in the exhibition kanalaritja: An Unbroken String and are also part of the TMAG Collection. The exhibition marks the eighth in the Australian Design Centre’s Living Treasures: Masters of Australian Craft series, a biennial recognition and national tour of an iconic artist whose body of work epitomizes the best of various Australian craft fields. Greeno’s award-winning talent in shell-working is magnificently displayed in the exhibition’s 50 highly visual and textural works, each uniquely championing the traditions and culture of the Indigenous women of Cape Barren and Flinders Islands. “It is important to never lose sight of your cultural heritage,” Greeno says. “Once you own your history you can tell it from your perspective, covering your family’s generations. The overarching theme of Lola Greeno: Cultural Jewels is storytelling: of the meticulous crafting of stories of cultural knowledge, natural beauty, ancient traditions and connectedness with her island home. It is also an exhibition of modern issues, featuring contemporary sculptural works that are part of Greeno’s response to her concerns for the environmental future of shell stringing in northern Tasmania. 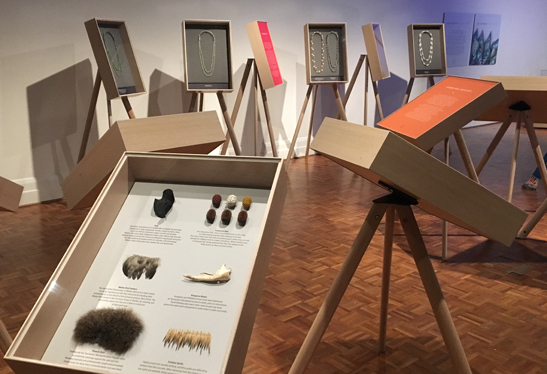 Lola Greeno: Cultural Jewels features breath-taking works using unusual and beautiful natural materials such as echidna quill, feathers, rare Maireener shell and bone, and also features interwoven digital and audio displays. Greeno will present a special free talk about her career and the exhibition in TMAG’s Central Gallery on Friday 1 June at 11:00 am, and all are welcome. Lola Greeno: Cultural Jewels is on show in Argyle Gallery 4 at TMAG from 1 June until 22 July 2018.